Please complete the form below and your enquiry will be sent directly to Mark Making Workshop via email. 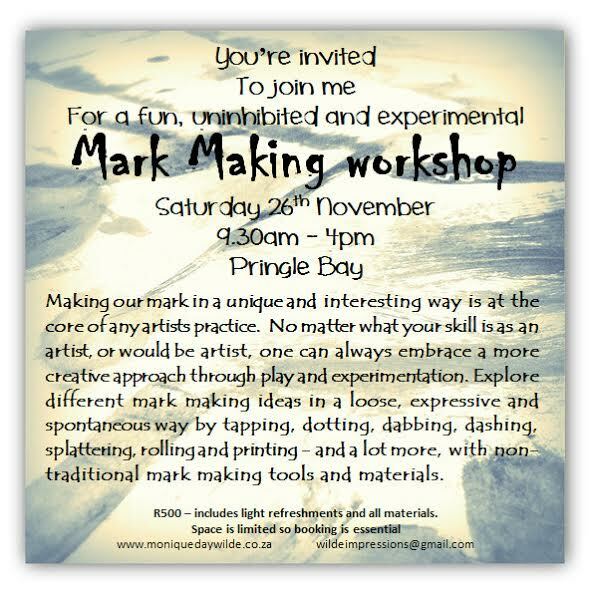 Your enquiry has been sent to Mark Making Workshop. Making our mark in a unique and interesting way is at the core of any artists practice. No matter what your skill is as an artist, or would be artist, one can always embrace a more creative approach through play and experimentation. Explore different mark making ideas in a loose, expressive and spontaneous way by tapping, dotting, dabbing, dashing, splattering, rolling and printing - and a lot more, with non-traditional mark making tools and materials.